Situated on the southern end of the Tibetan plateau, the Upper Mustang region of Nepal is reminiscent of an old, untouched Tibet. The former Kingdom of Lo has an expansive landscape of red cliffs dotted with mystical man made caves, over 10,000 holding archaeological secrets dating back to at least 2000 years. 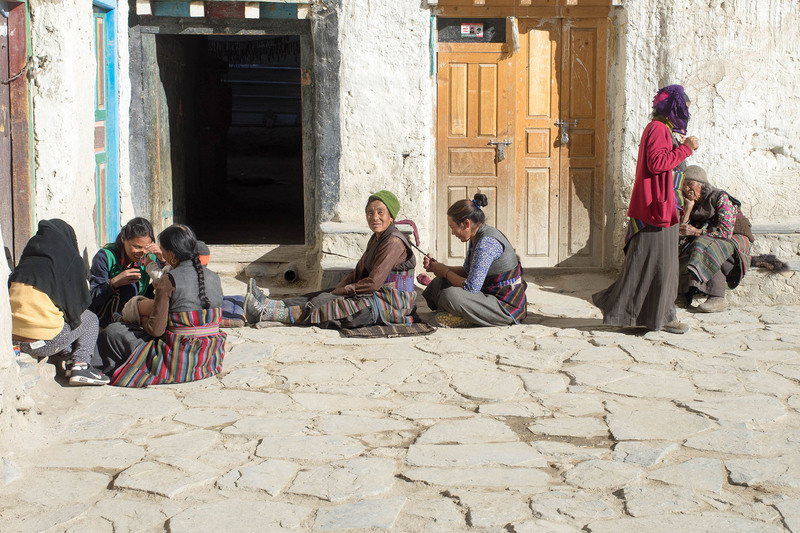 Living mostly as subsistence farmers along an ancient Nepal-Tibet trading route, Mustangi people have a proud rich culture embedded in Tibetan Buddhism. 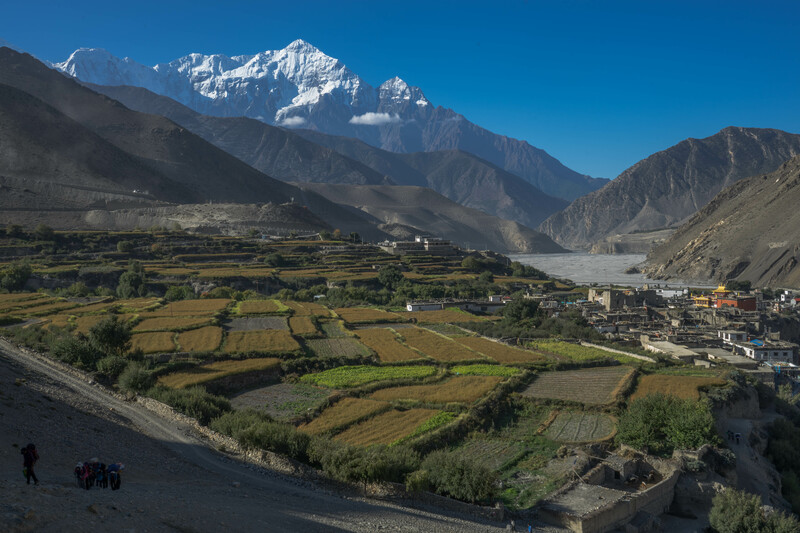 Upper mustang trek trip takes you through traditional Tibetan style villages, passing fields of millet and barley at an altitude between 2720m-4025m. Trekking through this landscape will take you back to another era in time. Recent road development in the region means part of the route will be along jeep tracks. However, this itinerary makes the most of foot tracks where possible following trails that are remote with little trekker traffic. 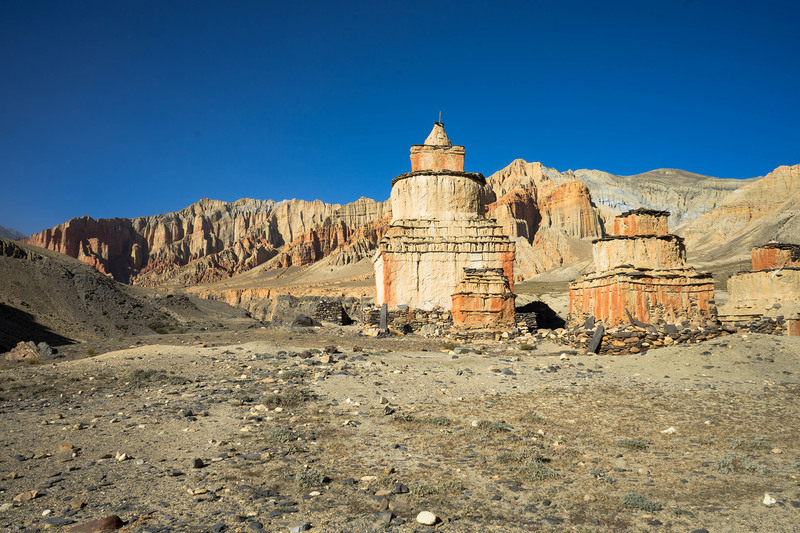 We will circuit around Upper Mustang including a few days exploration of the ancient capital city of Lo at Lo-Manthang and important sites surrounding the capital. This trip also includes a day at the holy pilgrimage town of Muktinath. 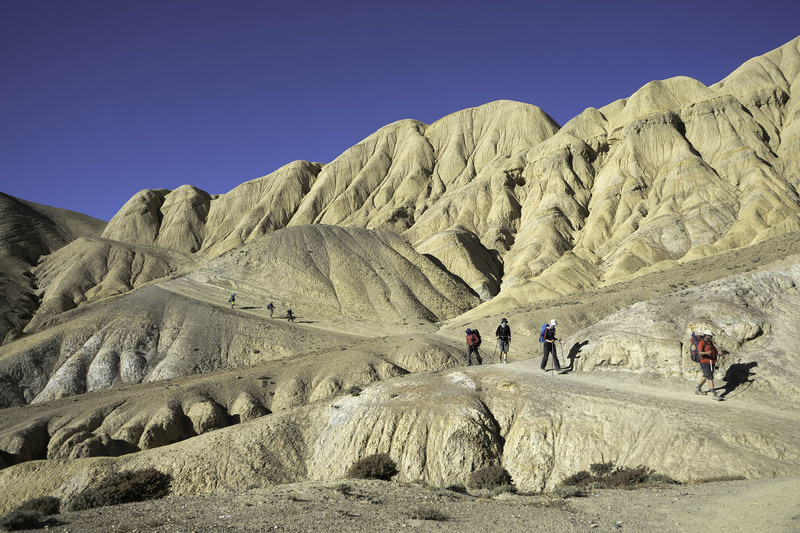 Your guide will meet you at your hotel to debrief you about the trip, check your personal trekking gear and organise details needed for the special park permit to visit Mustang. If any gear is needed, you can shop for these with your guide in town. You then have the rest of the time to explore the chaotic wonder that is Kathmandu including a spot of sighting seeing at some of Kathmandu’s seven world heritage sites. We will drive by bus to Pokhara, a scenic drive that offers glimpses of Nepali hill villages with paddy fields and traditional style hill houses. Pokhara is a tourist town and is the entry point to the Annapurna mountain range and Mustang. On arrival in Pokhara, you can rest in the afternoon and enjoy activities around Phewa lake. Our flight to Jomsom will depart first thing in the morning. We will have breakfast at a hotel in Jomson and will organise porters for our trip. 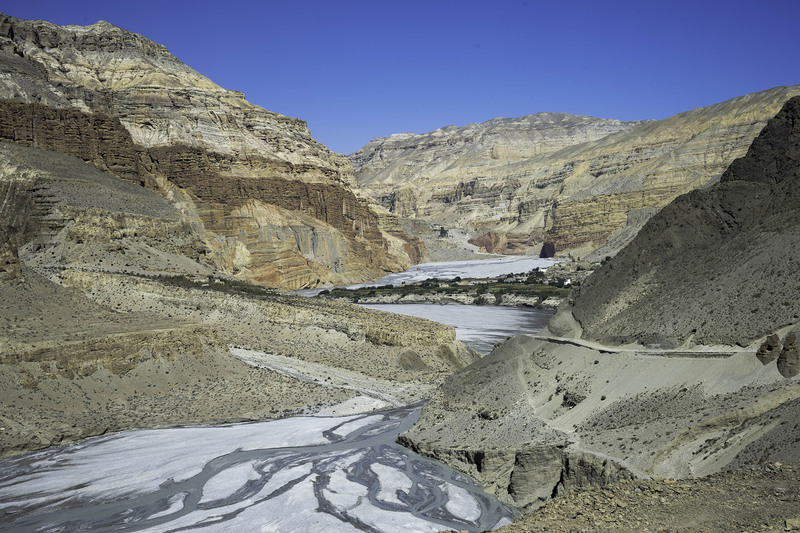 The trek to Kagbeni is mostly flat along a dirt road that follows the Kali Gandaki river upstream. Once in Kagbeni, you can spend the rest of the day exploring the historic town with its narrow alleyways, traditional tightly packed homes and colourful flagpoles. We continue the journey north along the same dirt road following the Kali Gandaki river to Chele. Just before Chele, we cross the Kali Gandaki river and trek up to the small village by the river side. From here we enter the protected Upper Mustang region. Our morning has an uphill climb to reach the small pretty village of Samar (3660m). Shortly after the village of Syangboche (3880m), we will cross Syangboche pass at 3850m before making a gradual descent to the large village of Ghiling passing barley fields. 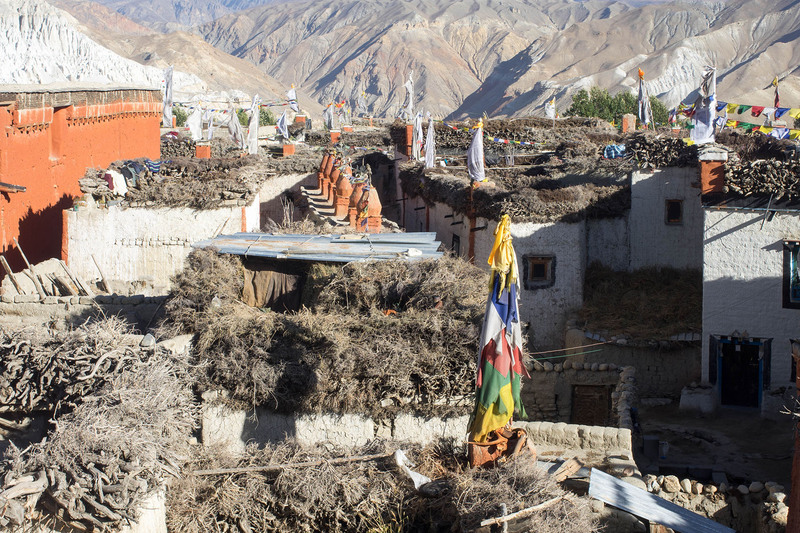 Houses in Mustang are characteristically Tibetan in style consisting of white stone and clay flat roofed homes often drying wood and dung. Villages surrounded by fields in summer often appear like an oasis amongst the arid valleys and red cliffs. 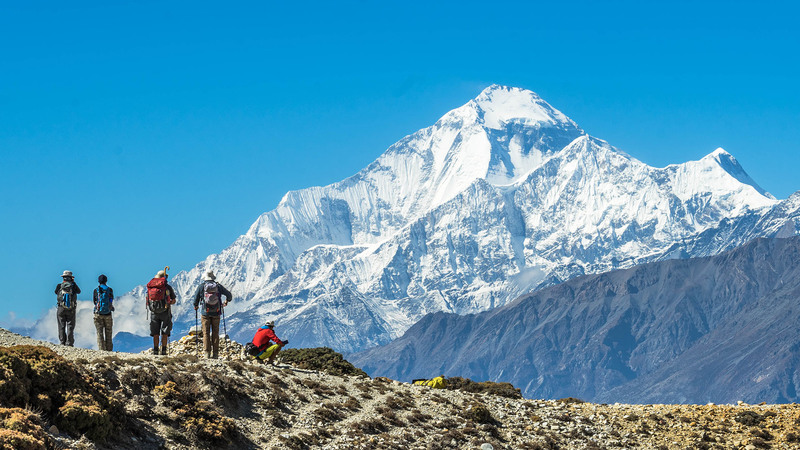 We will climb up to Nyi Li pass (4025m) behind Ghiling for views of Annapurna and Nilgiri before we rejoin the dirt road to the village of Ghami. As we exit Ghami, look out for the longest maniwall of Mustang sitting amidst a background of stunning red and blue cliffs. We head left up a gradual trail to the small village of Dhakmar. Look up above the red cliffs to spot rare blue sheep. Today is a longer trekking day as we continue along the high trekking trail crossing Mui la pass (4170m) and Marang la pass (4230m) to reach Lo Manthang. 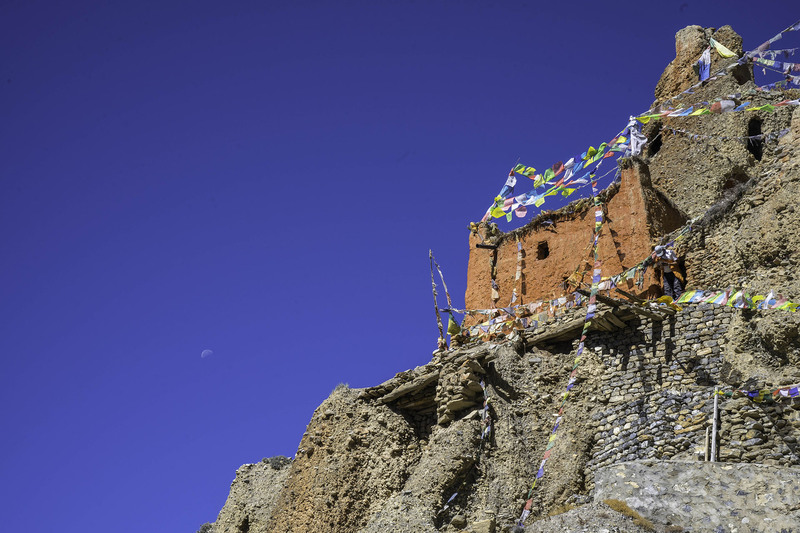 Along the way, we will make a short visit to Ghar Gumba monastery (3950m), one of the older monasteries of the region. For the next two days we will explore the ancient Lo capital and its surrounding historical and cultural sites including four major monasteries and the Lo palace. 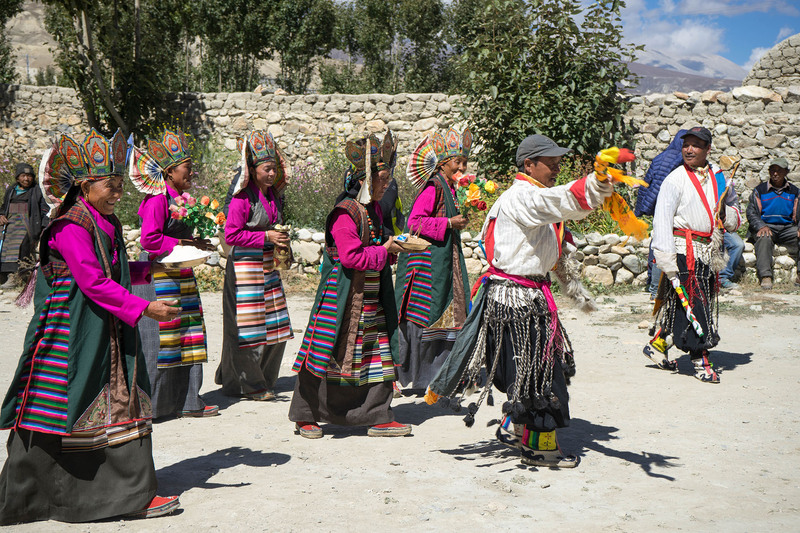 There will be an option to ride ponies in the traditional style of Mustangis or ride a jeep close to the Tibet-Mustang border. The morning will start with a climb up to Lo la pass (3950m) for farewell views of Lo Manthang and then a climb over Udi hill to Dhi village by the Kali Gandaki river. We will cross over to the east side of the river that is more remote and we will camp for the next few days. 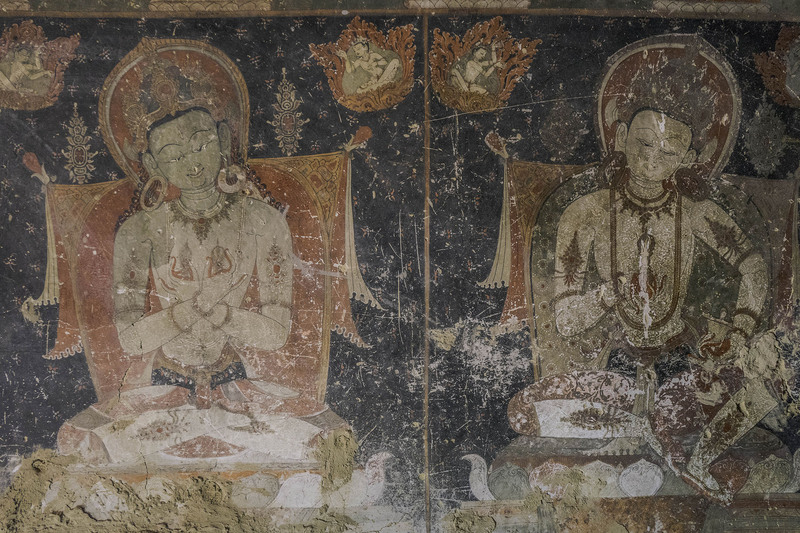 From Yara it’s a short hike to the six man made caves of Tashi Kubum that houses ancient Buddhist paintings and a large chorten. 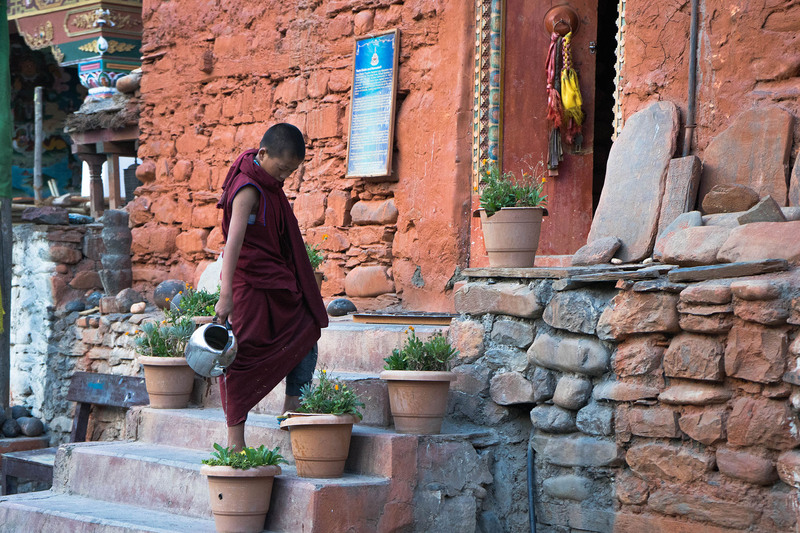 We will then trek up to Luri gompa monastery, a 13th century monastery built amongst a complex of caves used for Buddhist rituals. We will return back to Yara for the night. We continue ascending up the valley until we reach a junction with Kyumupani river. From here we head west and down behind Yaripangje hill to Dhecyhang river. We then trek across Sertang hill to Tangge for the night. After crossing the river bed, it’s a gradual ridge climb to the remote village of Paha with views of Dhaulagiri and Nilgiri. 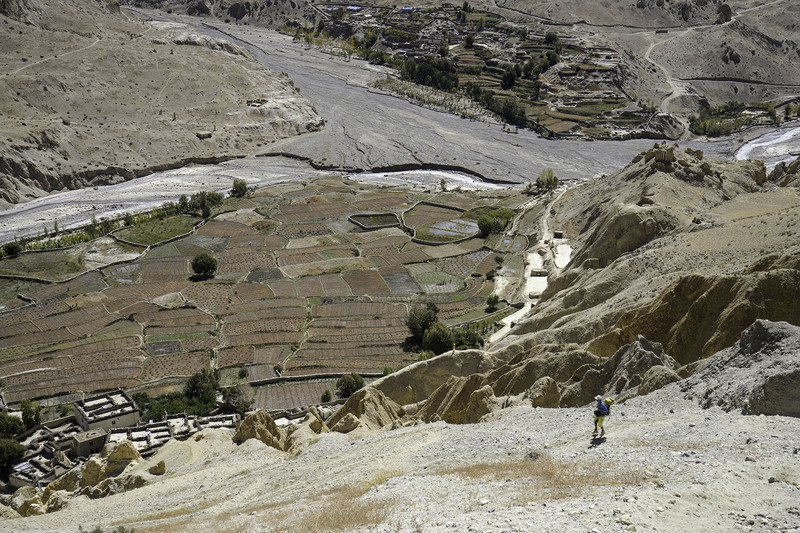 As we complete the circuit of upper Mustang, we continue along a high ridge trail that offers commanding and final views of the mysterious region. We will camp near the river bed in the village of Tetang. Our destination today is Muktinath, a sacred site for Hindus and Buddhists. 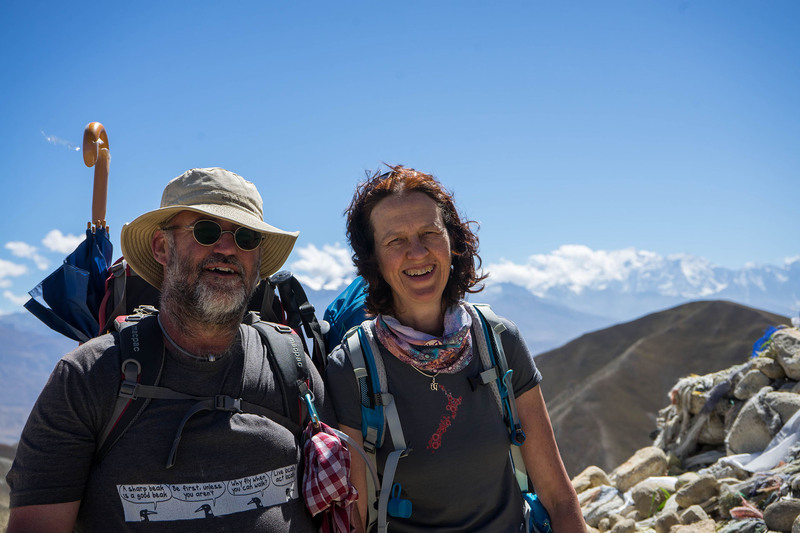 We will take the remote back route to Muktinath that includes a steep 1000m ascent to Gyu La pass (4077m) before a gradual descent to the busy small town. You can take the afternoon to absorb scenes of Hindu and Buddhist worshippers around Muktinath temple. We avoid the road route to Jomson by descending along a foot trail to Panda river and walking to Lupra, a small Thakali village. From here we rejoin the road trail at Panda back to Jomson. Tonight is our last night with our porters and camping staff so there will be farewell dinner to thank them for their support. Another early morning flight back to Pokhara for some well earned beers by Phewa lakeside! We return to Kathmandu by the same highway route. On your return to Kathmandu, catch some last minute shopping or sight seeing. We will have a final farewell dinner to celebrate the trip. • Items of personal nature such as laundry, hot showers, battery charging fees, phone calls, etc.